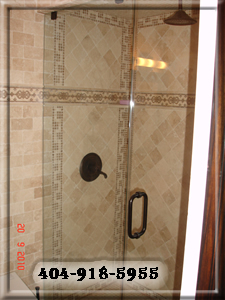 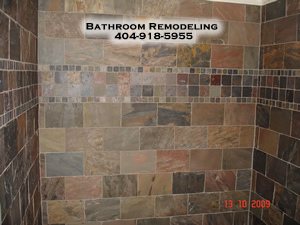 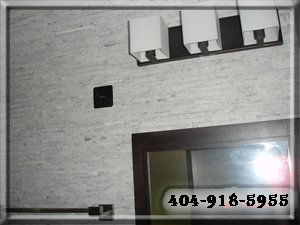 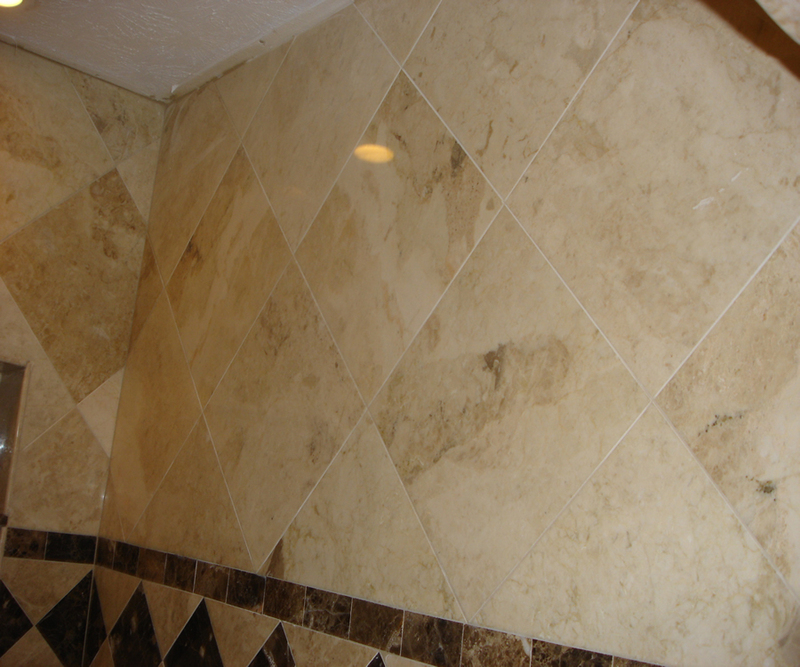 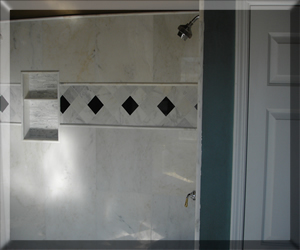 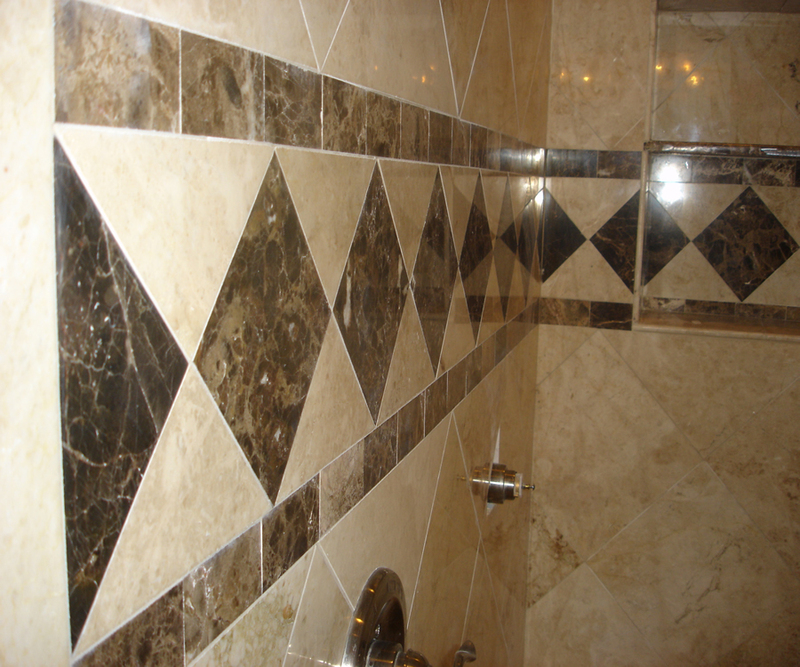 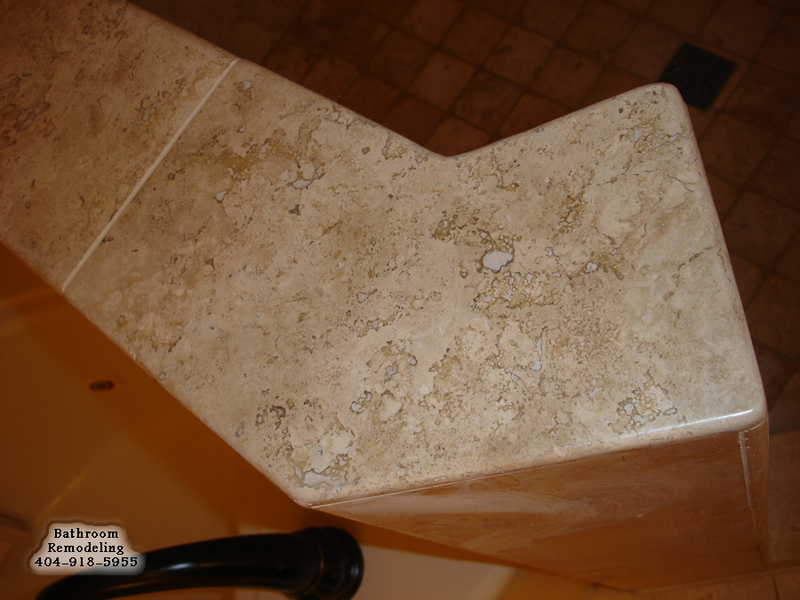 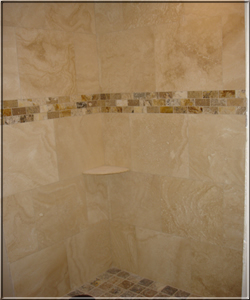 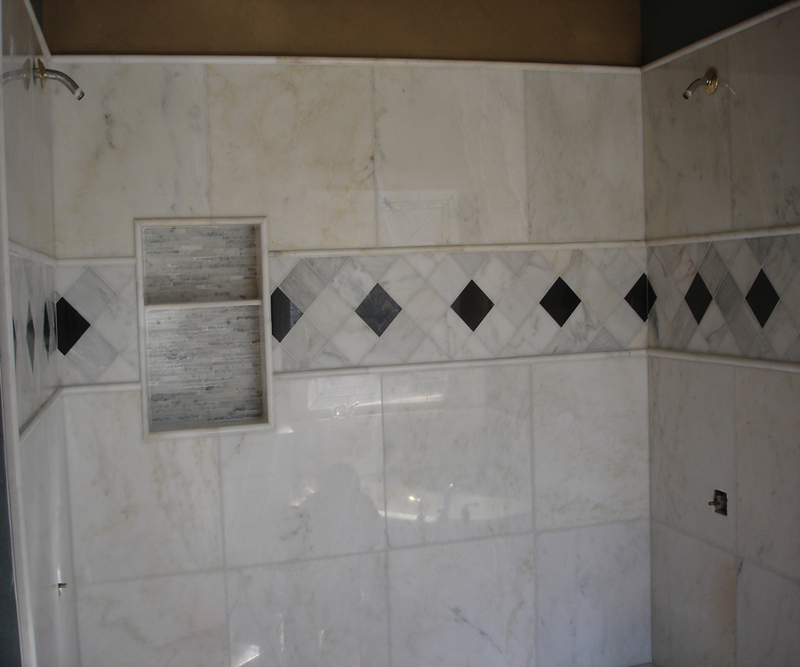 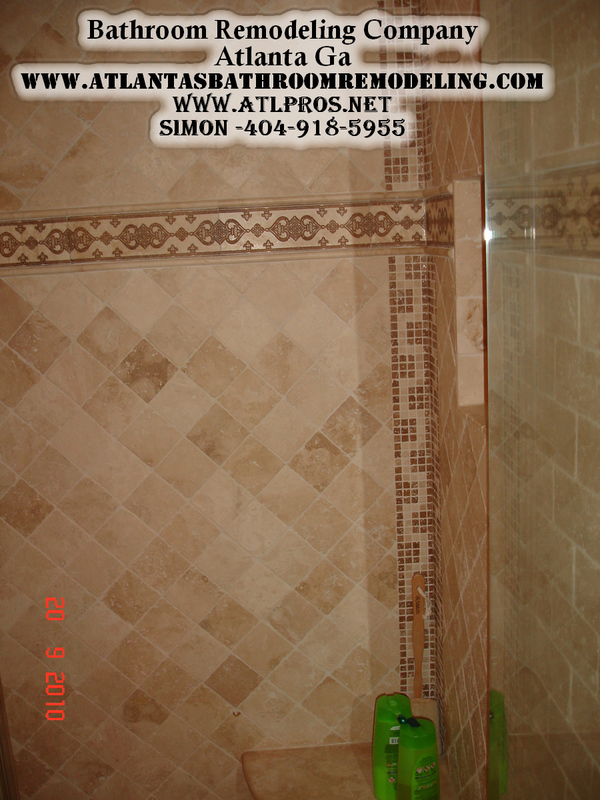 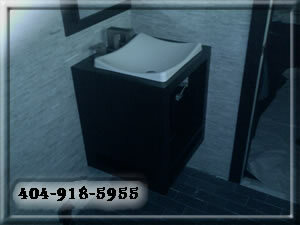 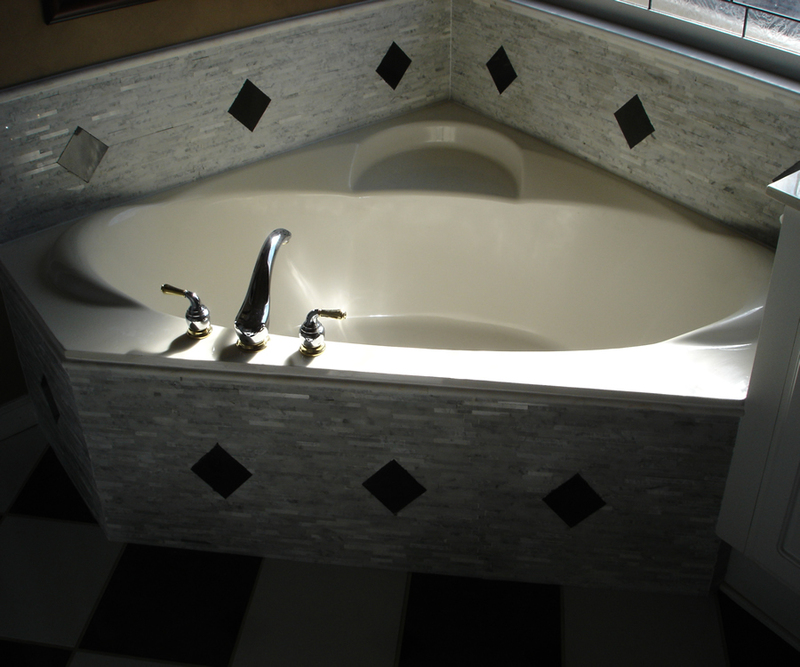 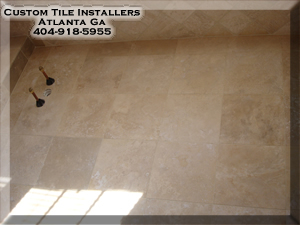 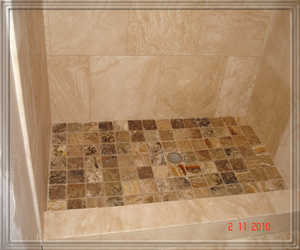 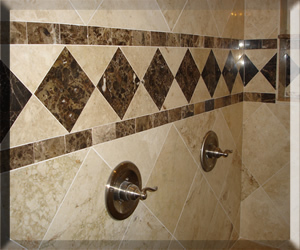 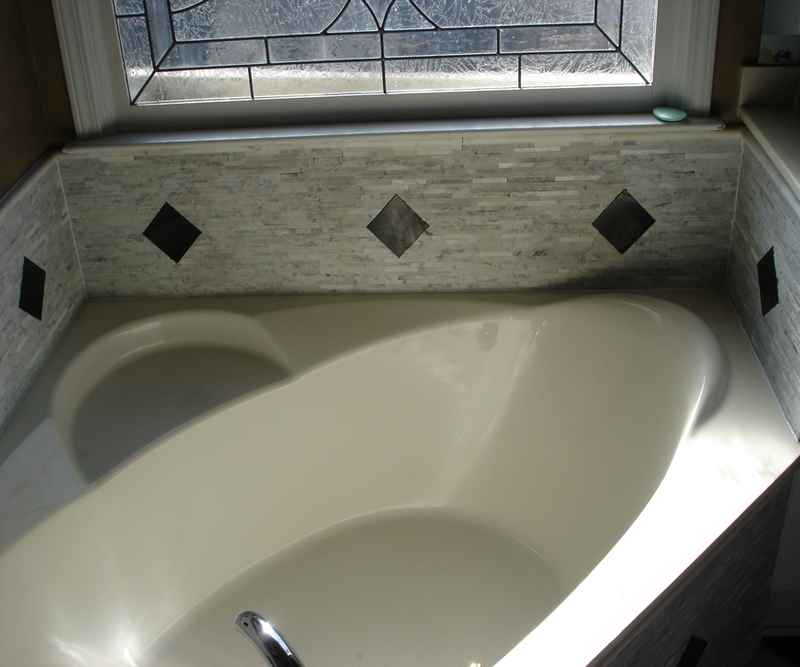 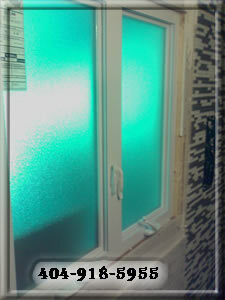 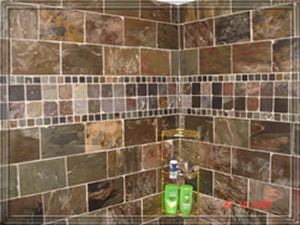 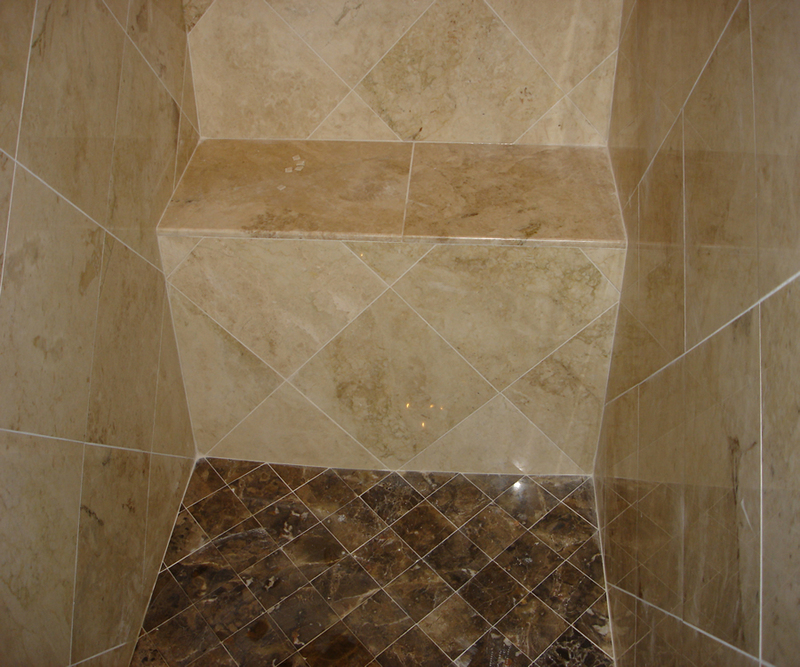 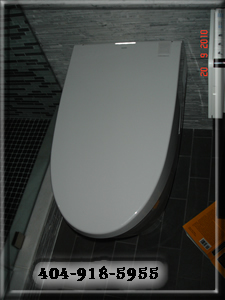 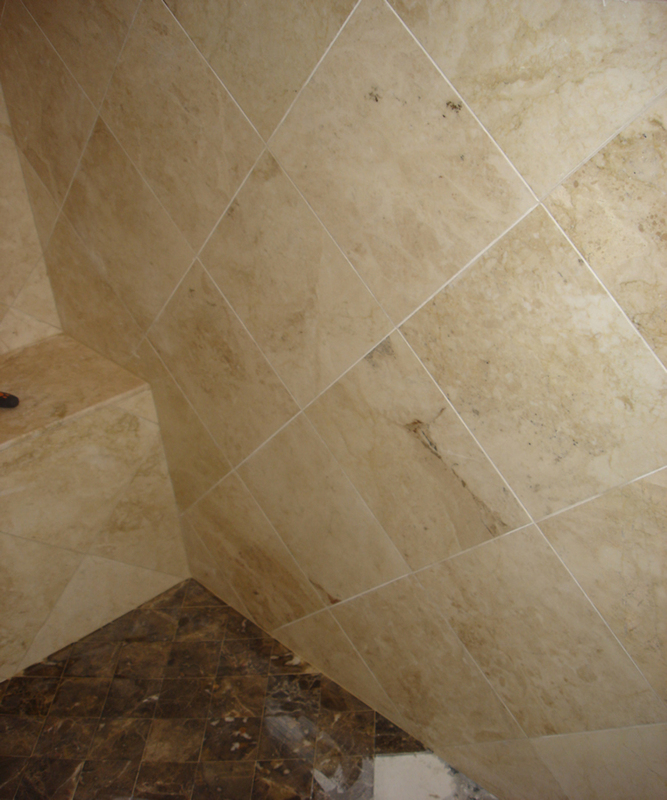 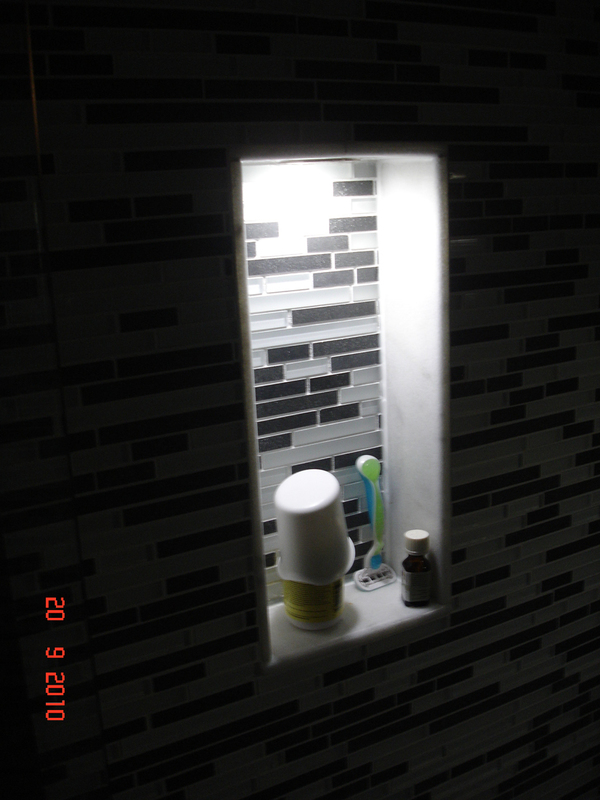 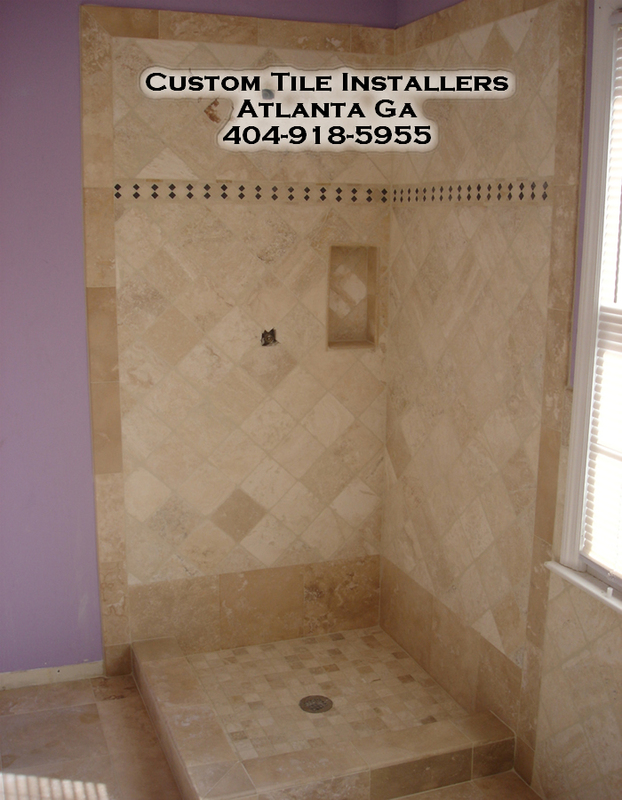 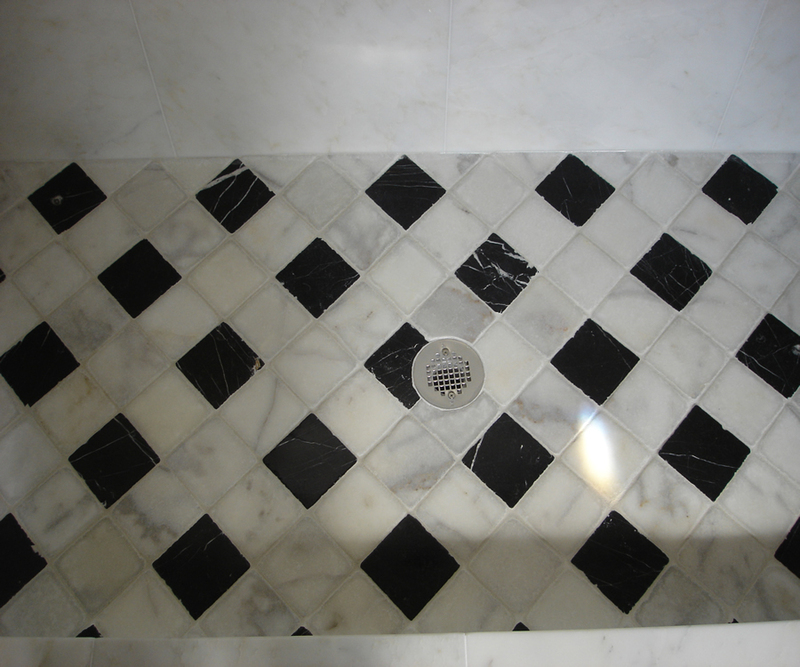 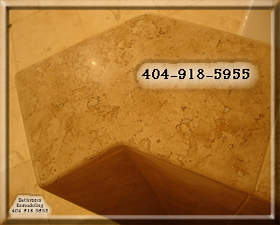 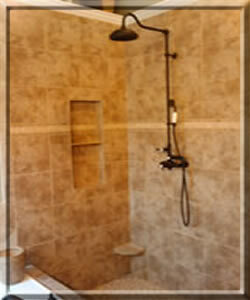 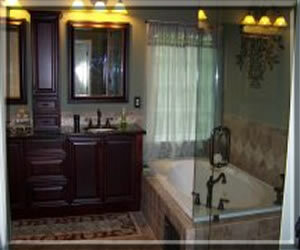 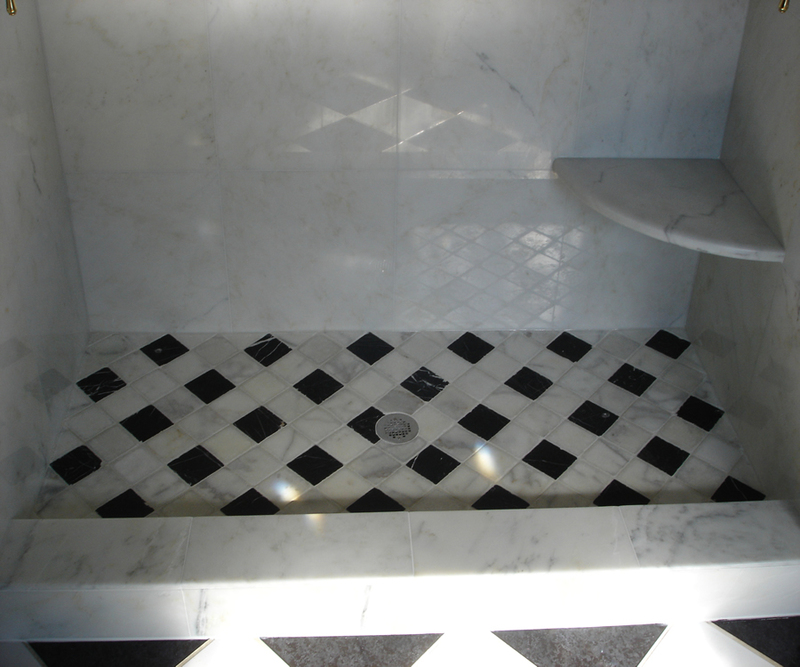 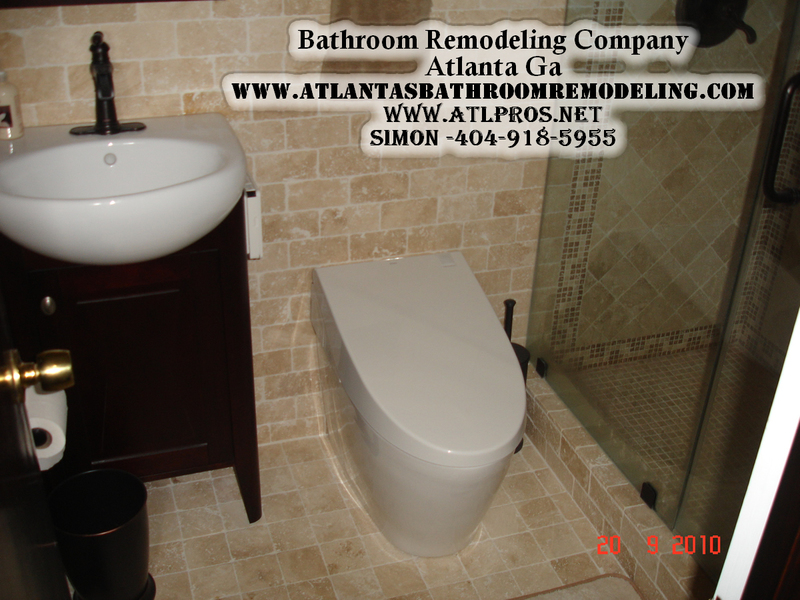 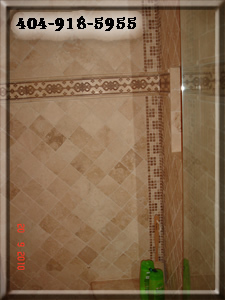 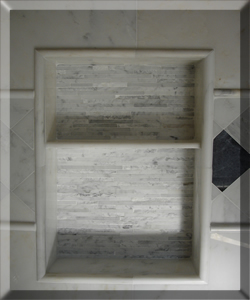 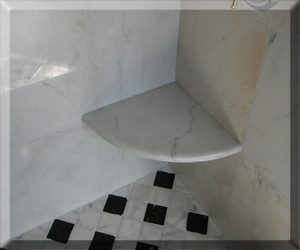 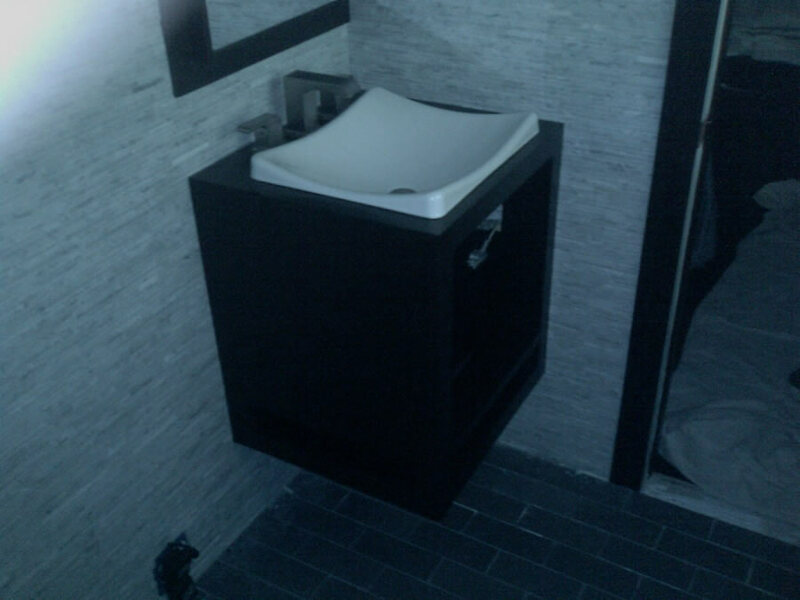 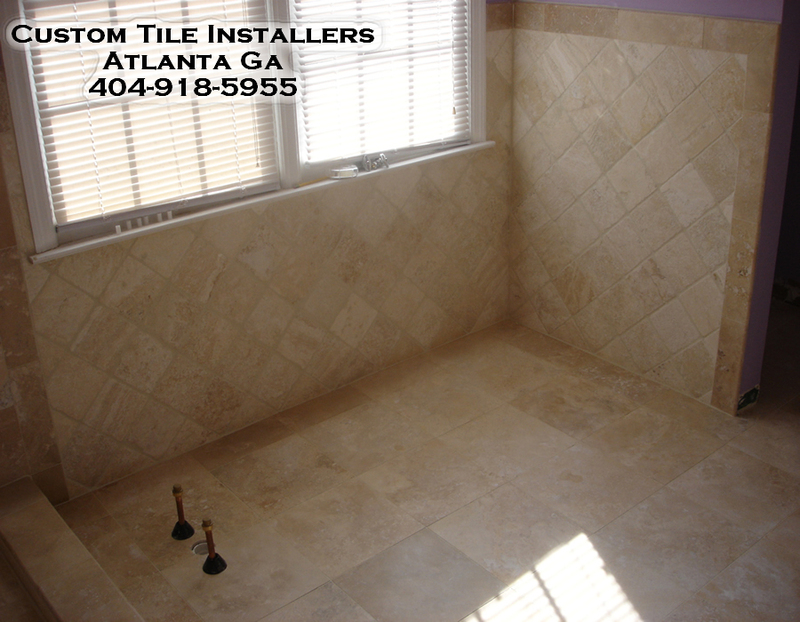 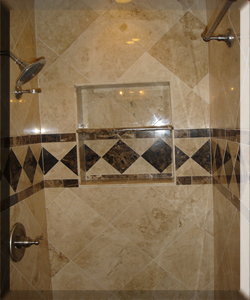 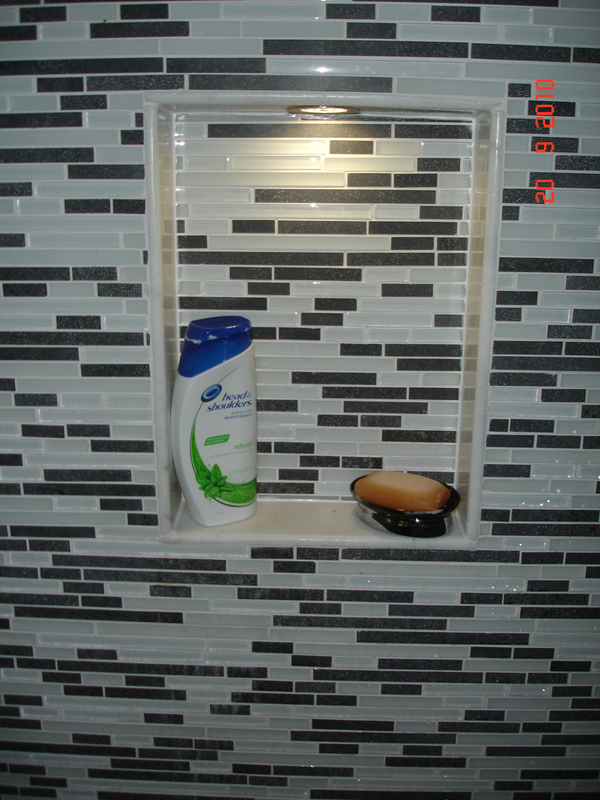 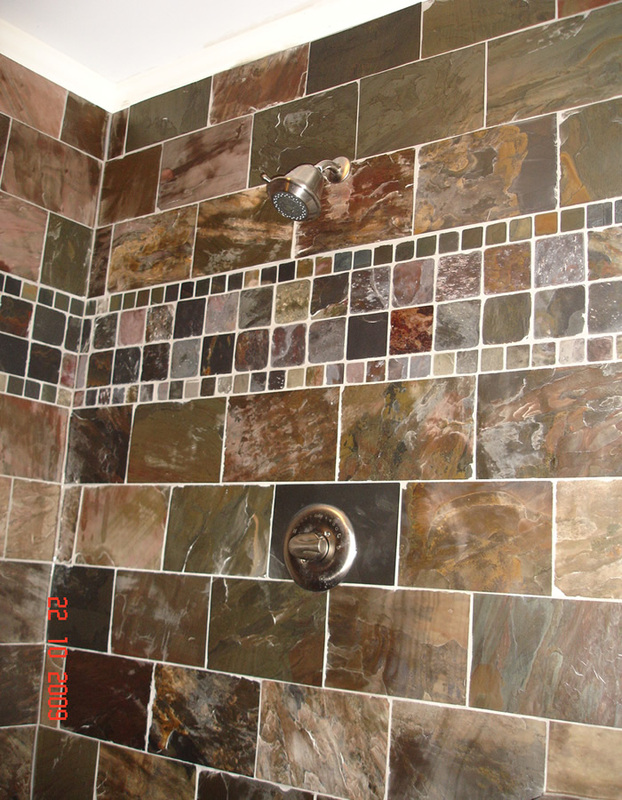 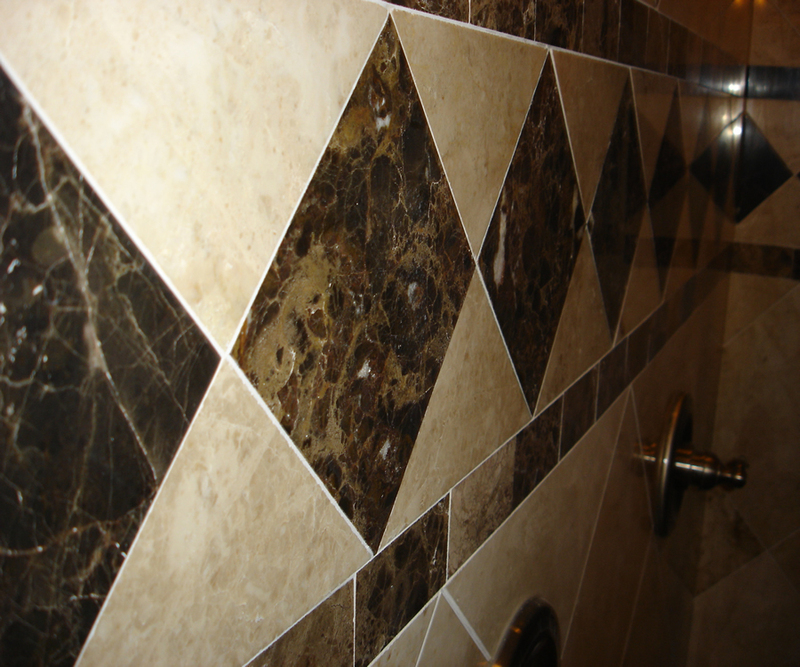 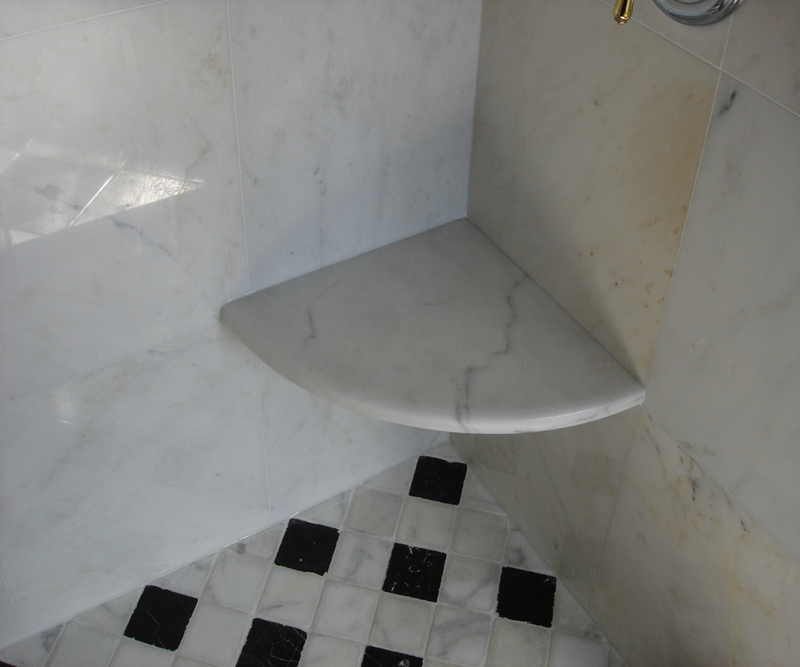 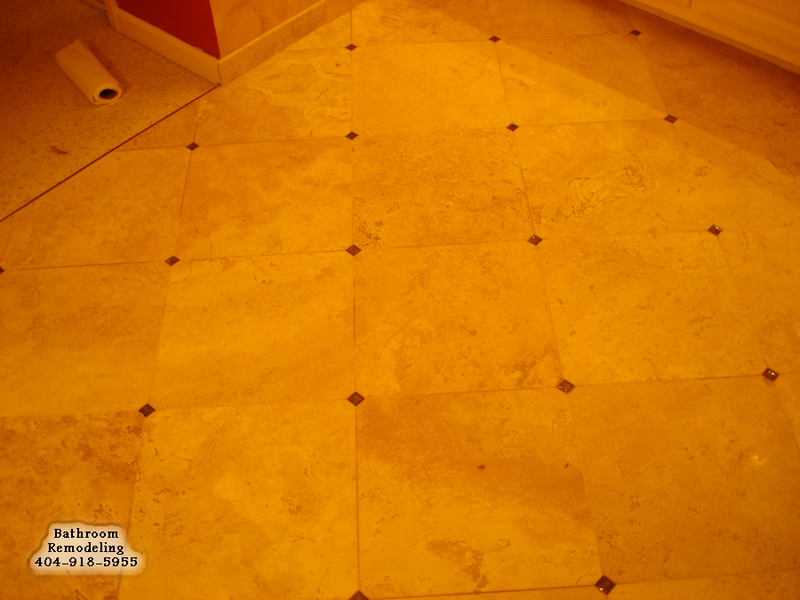 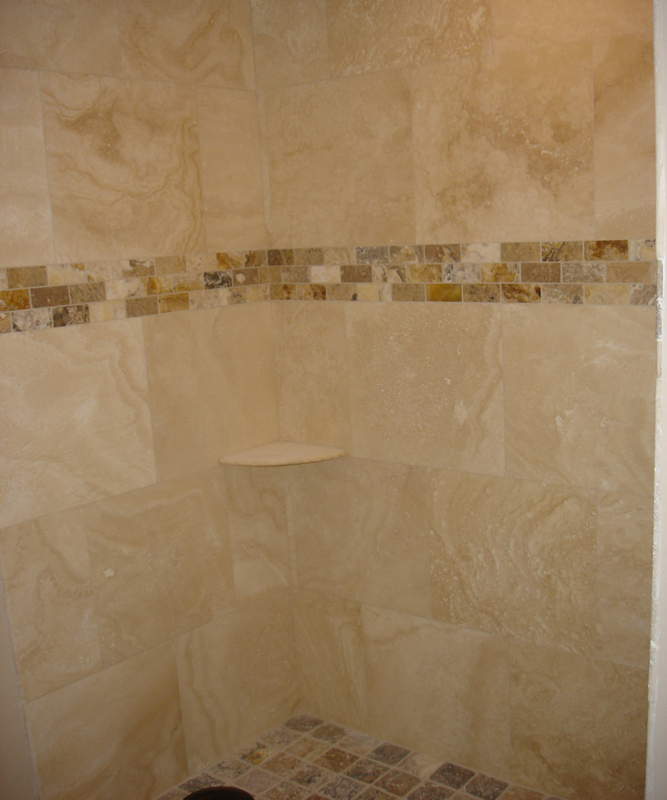 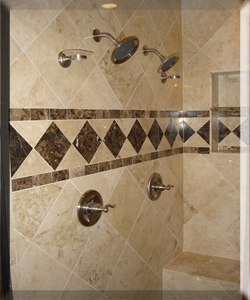 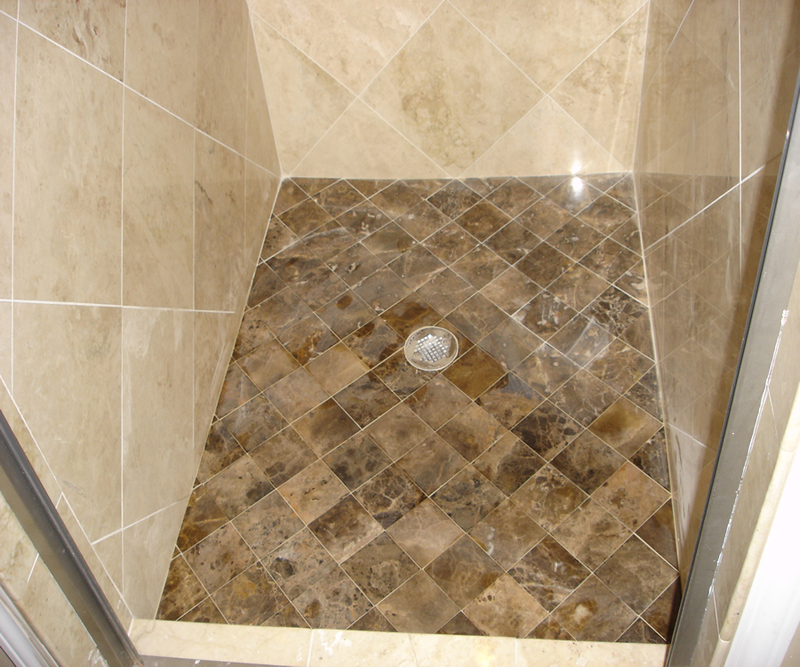 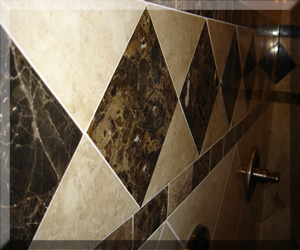 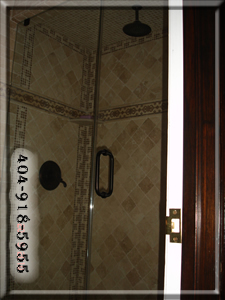 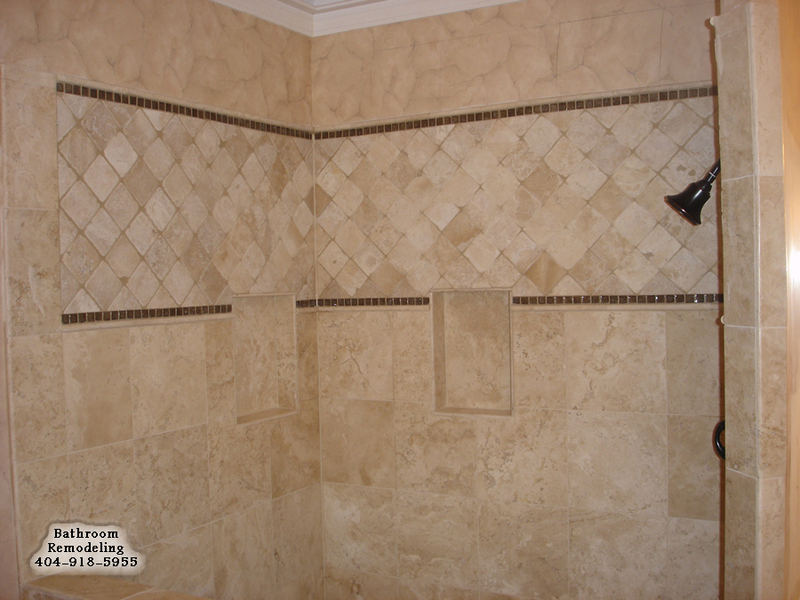 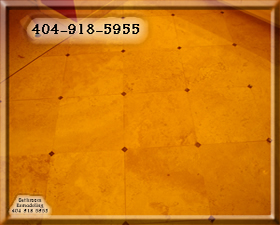 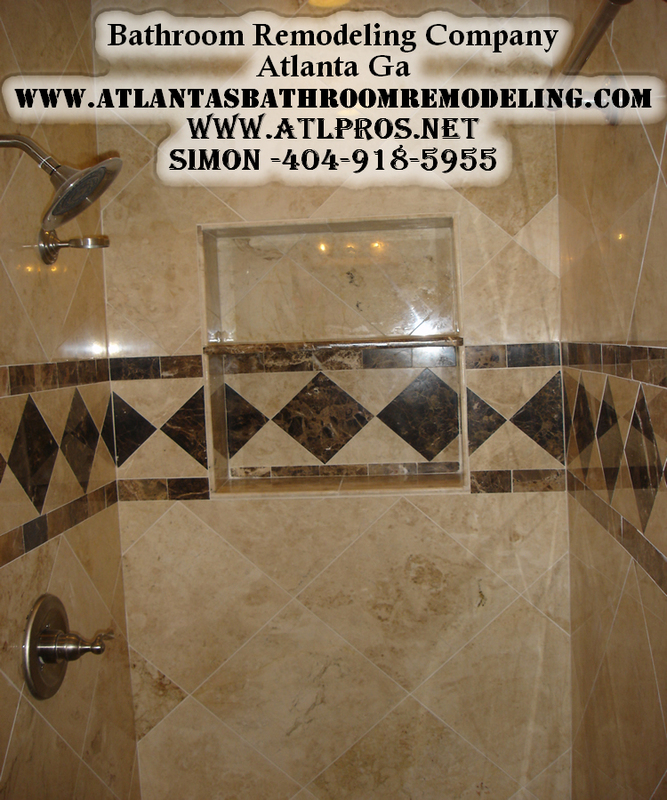 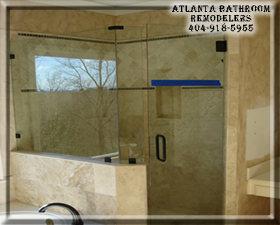 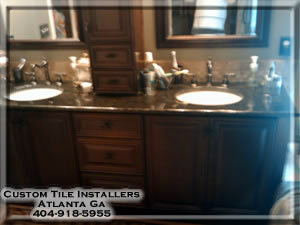 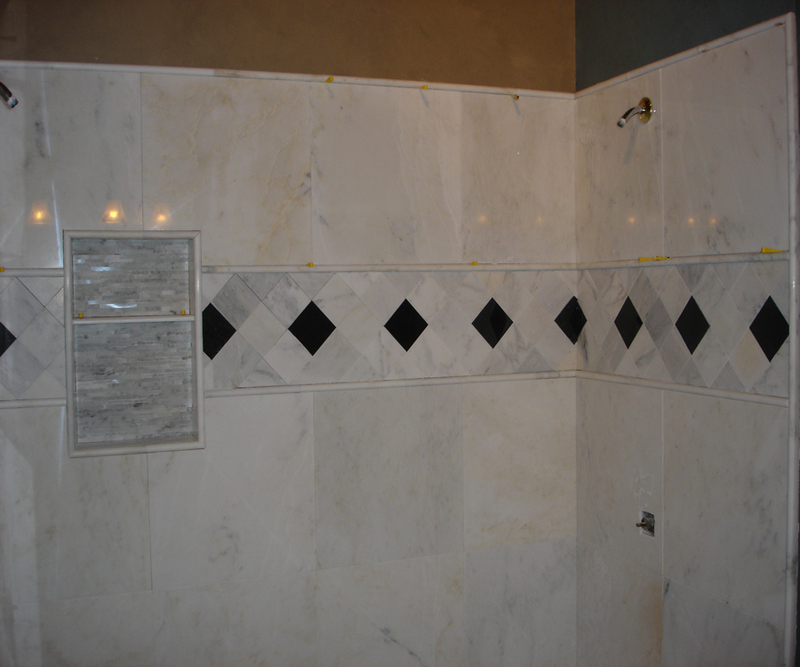 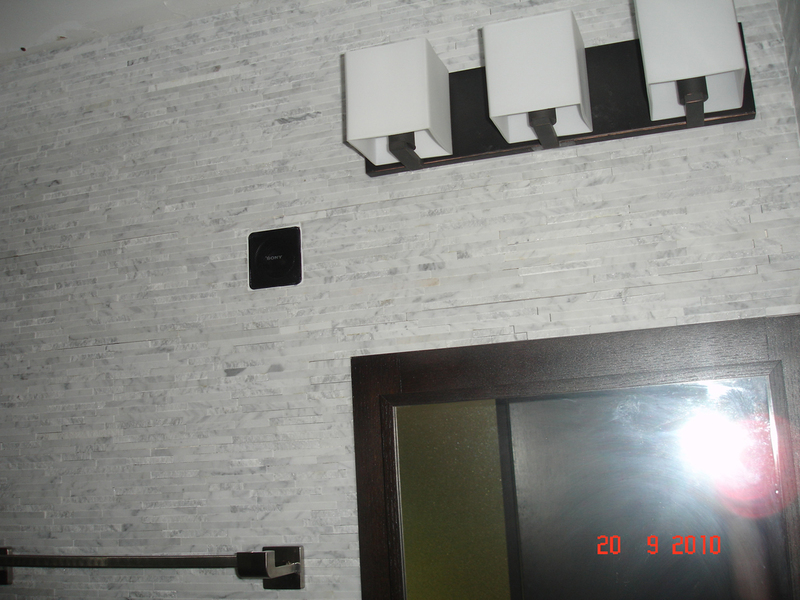 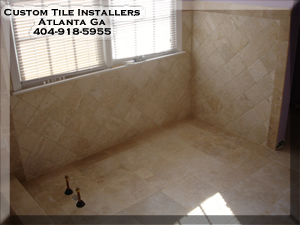 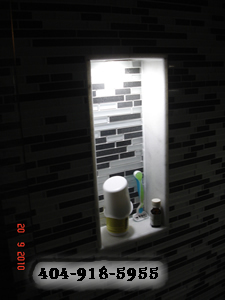 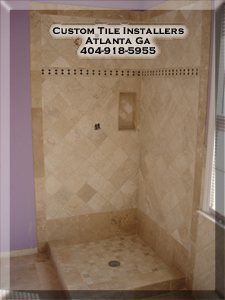 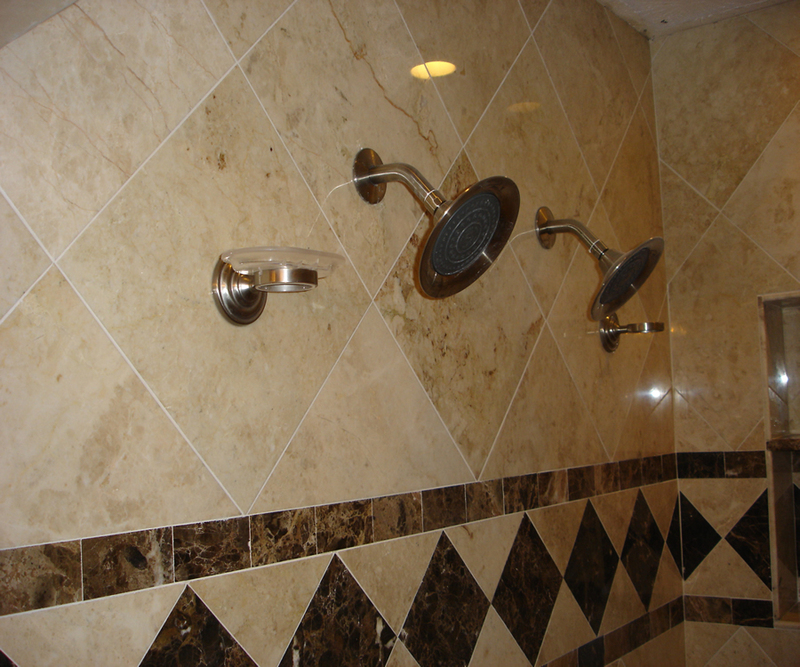 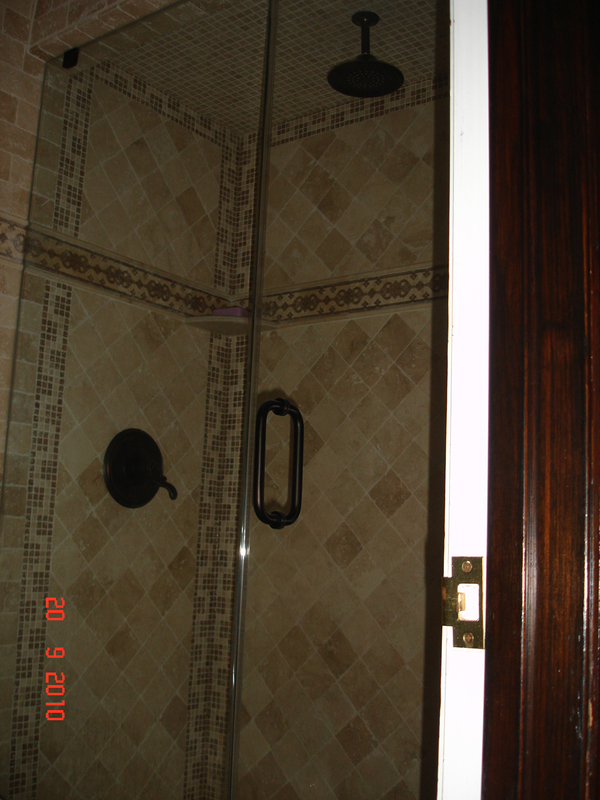 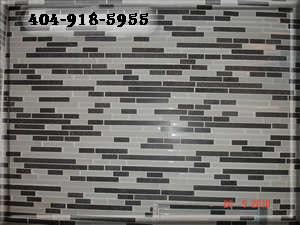 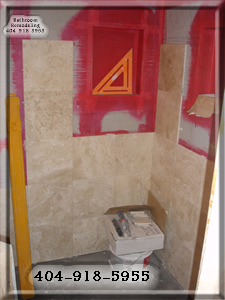 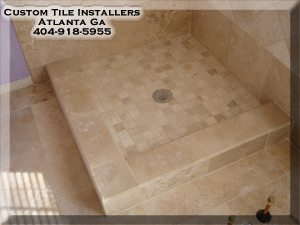 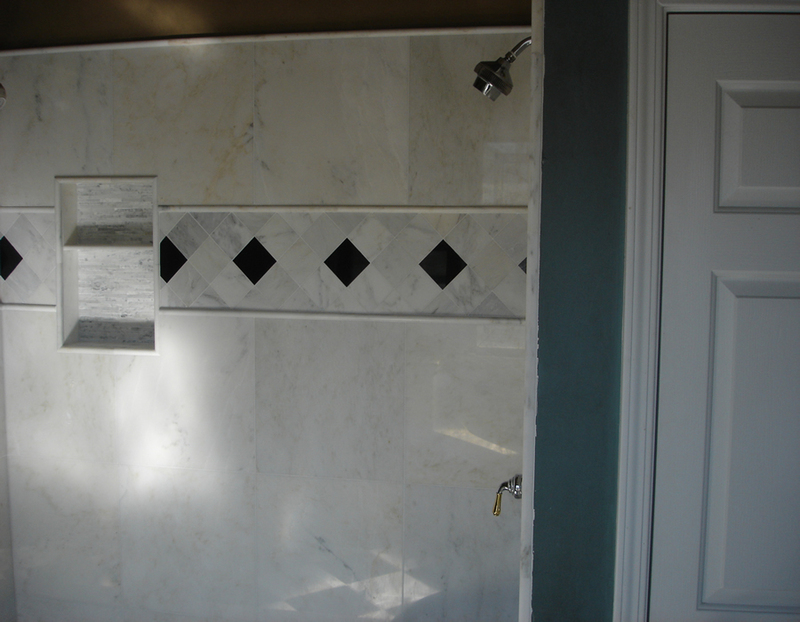 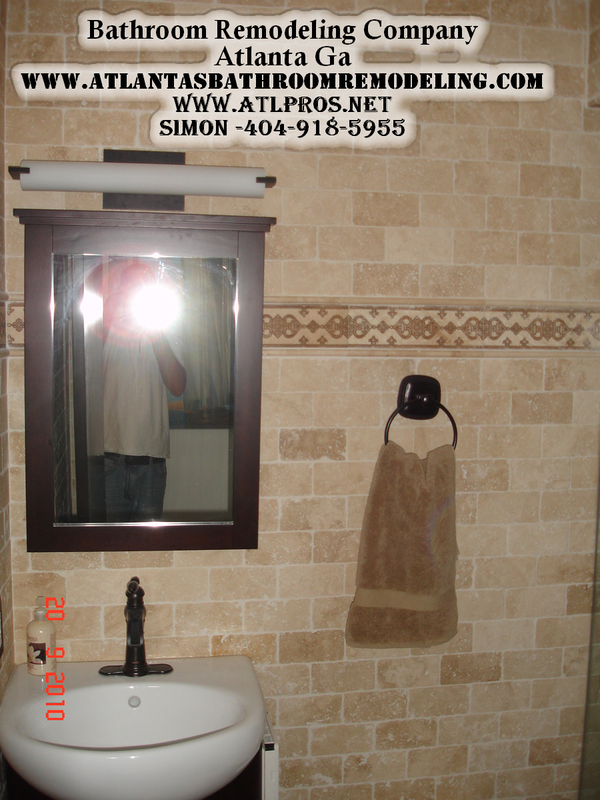 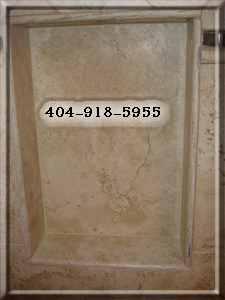 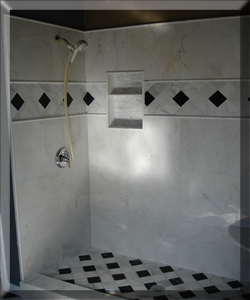 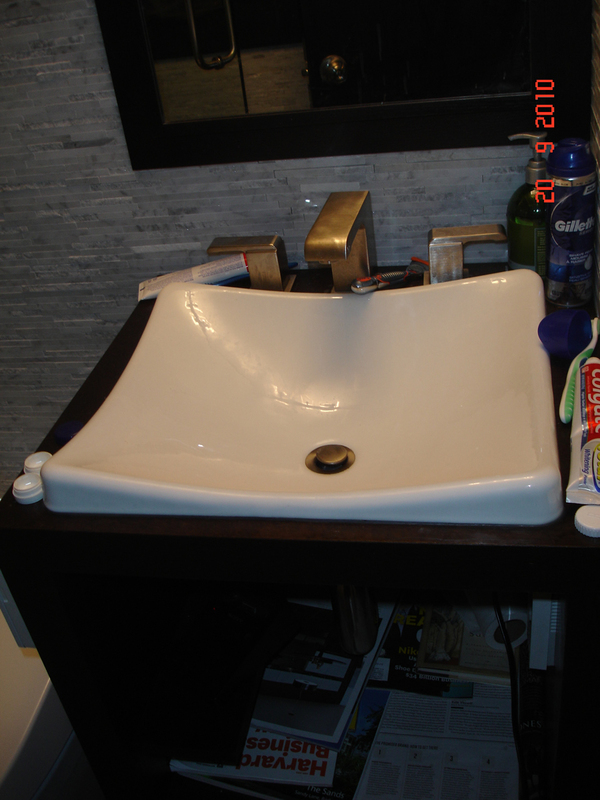 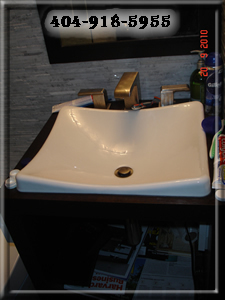 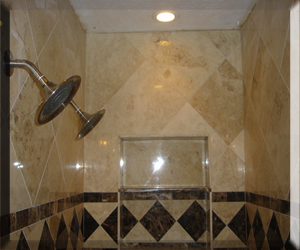 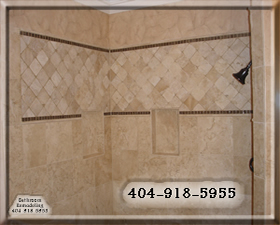 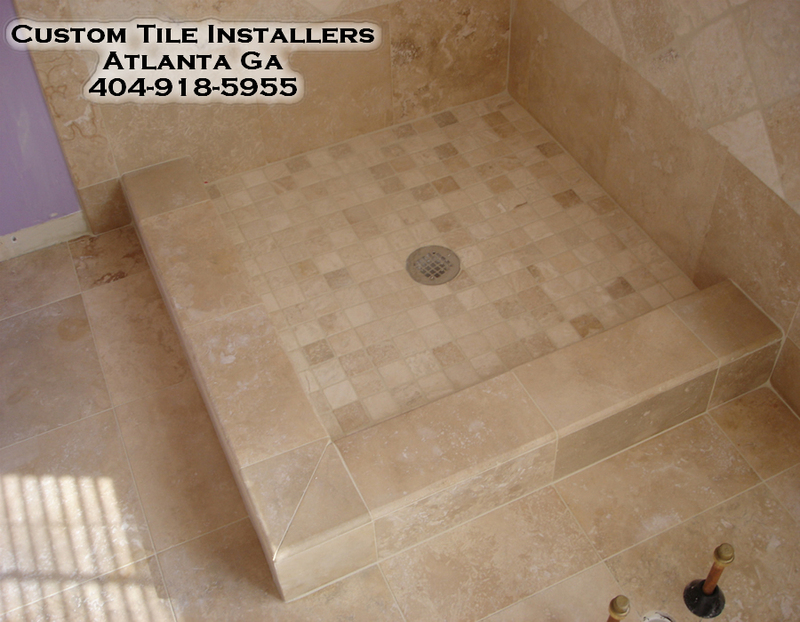 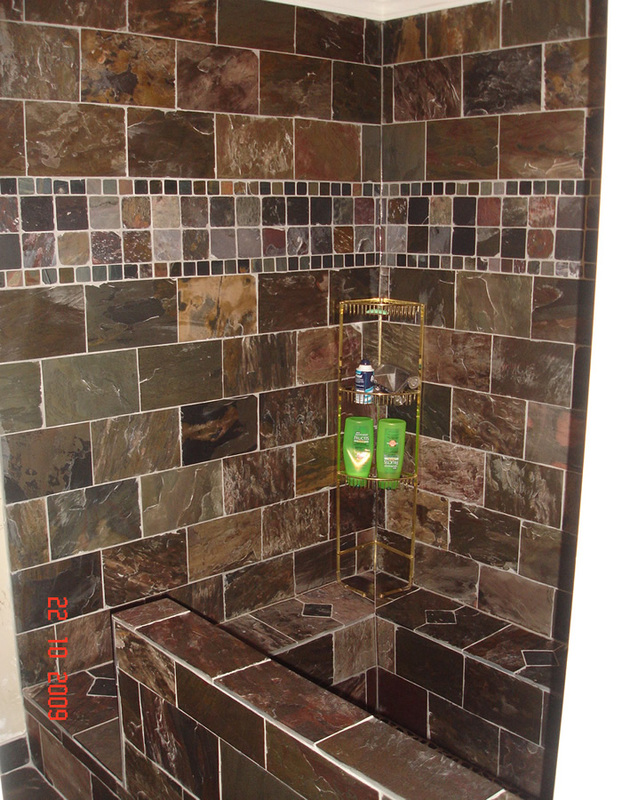 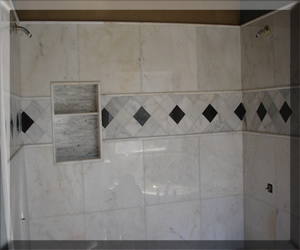 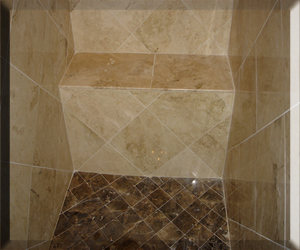 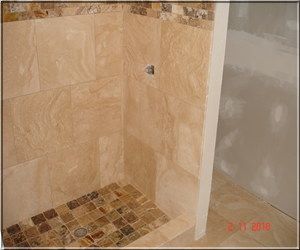 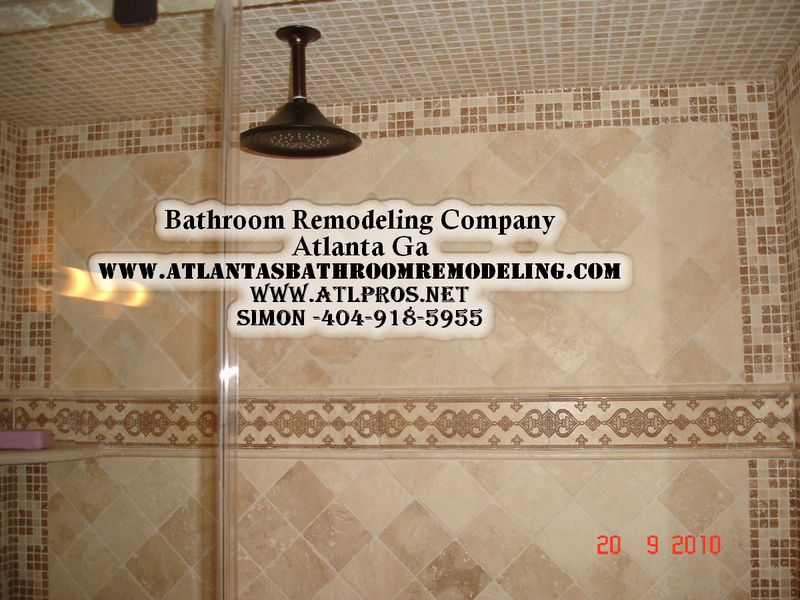 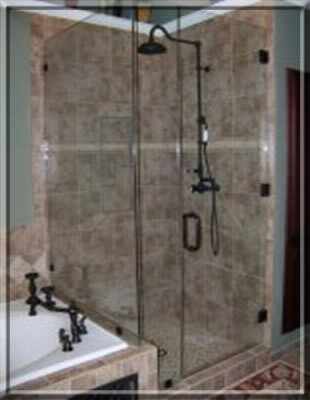 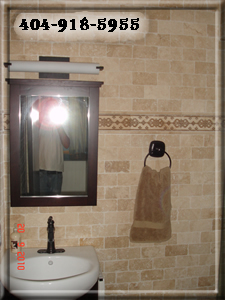 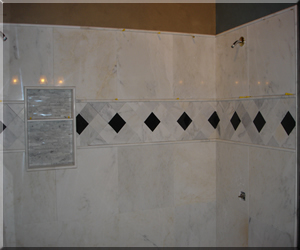 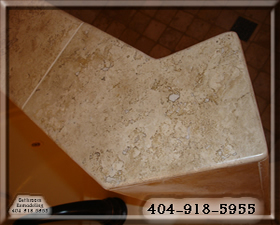 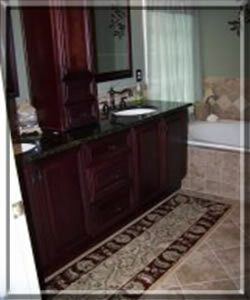 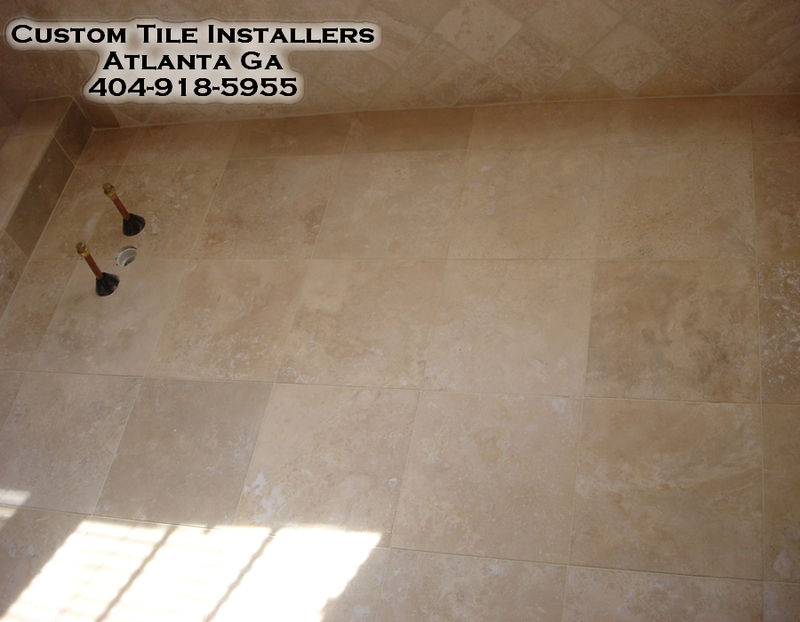 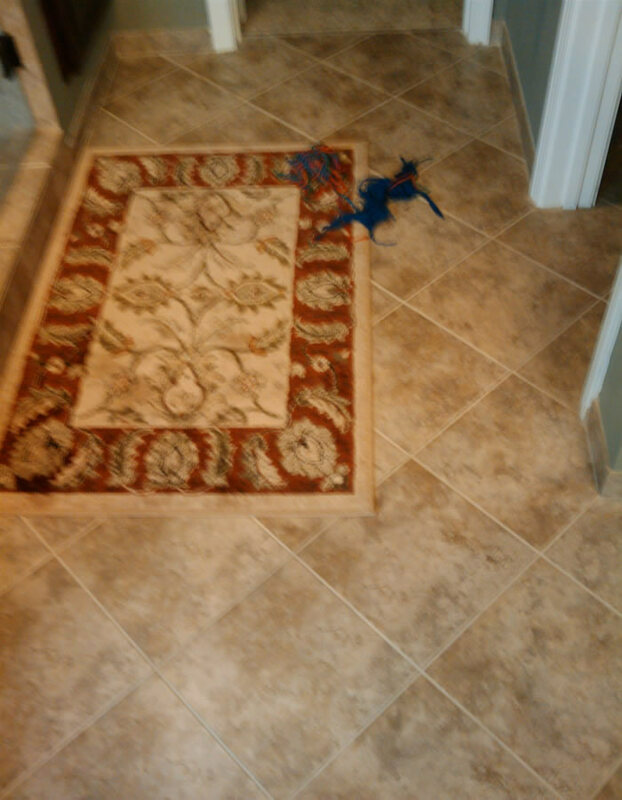 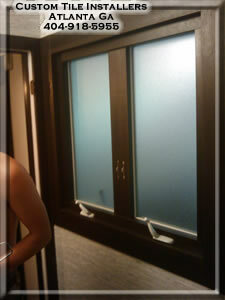 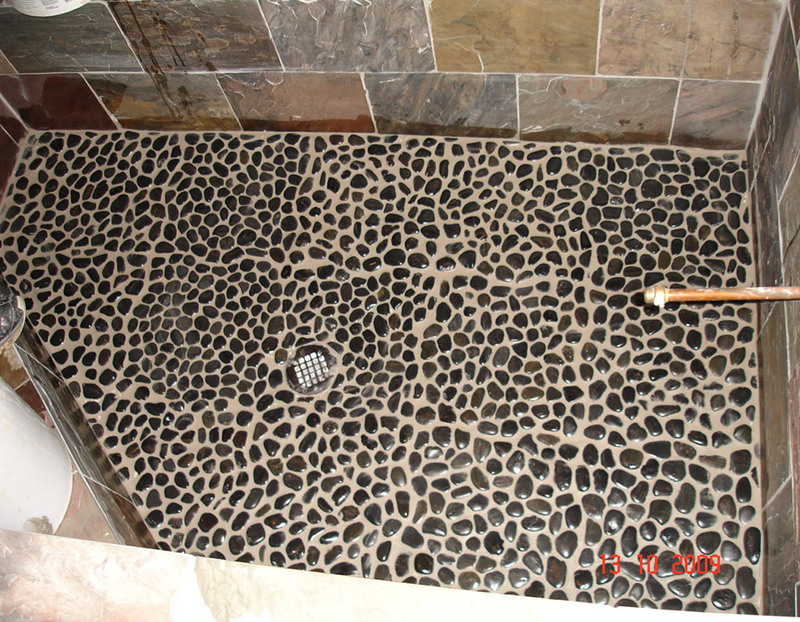 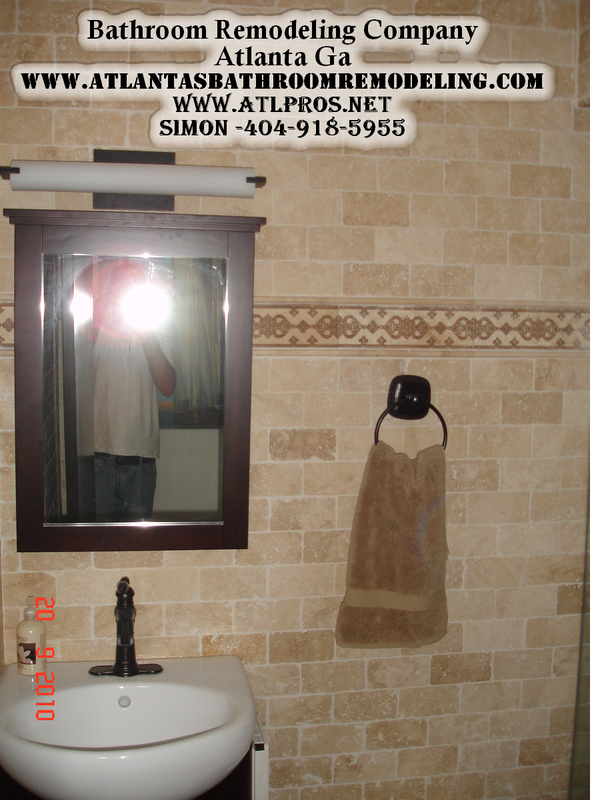 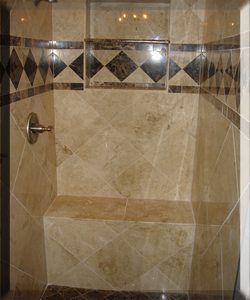 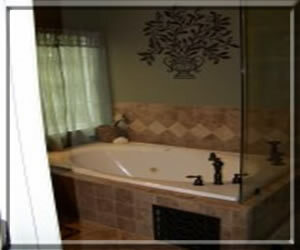 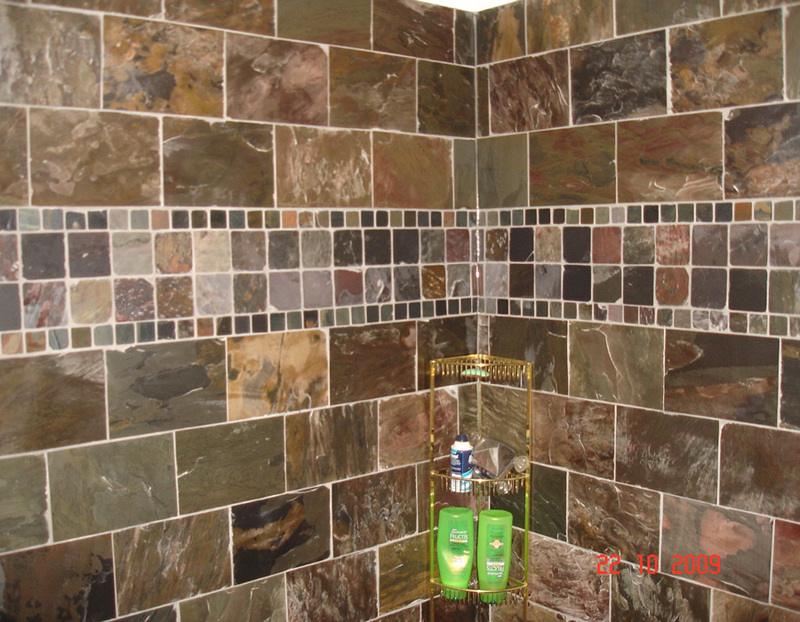 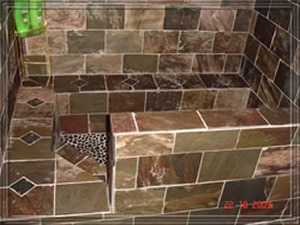 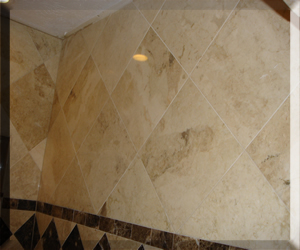 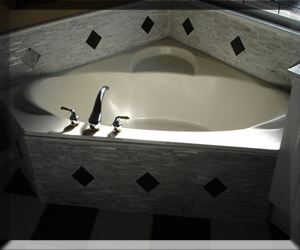 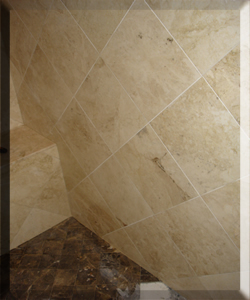 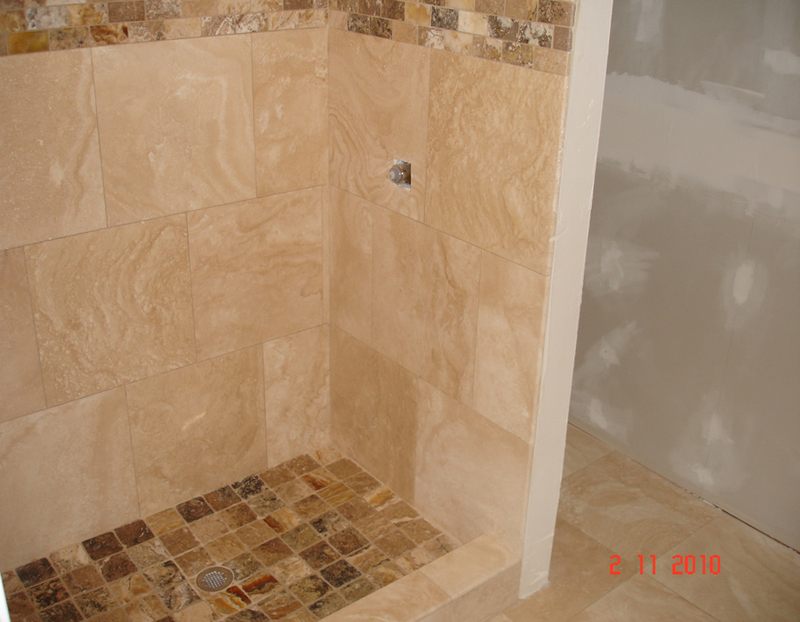 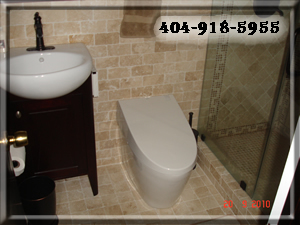 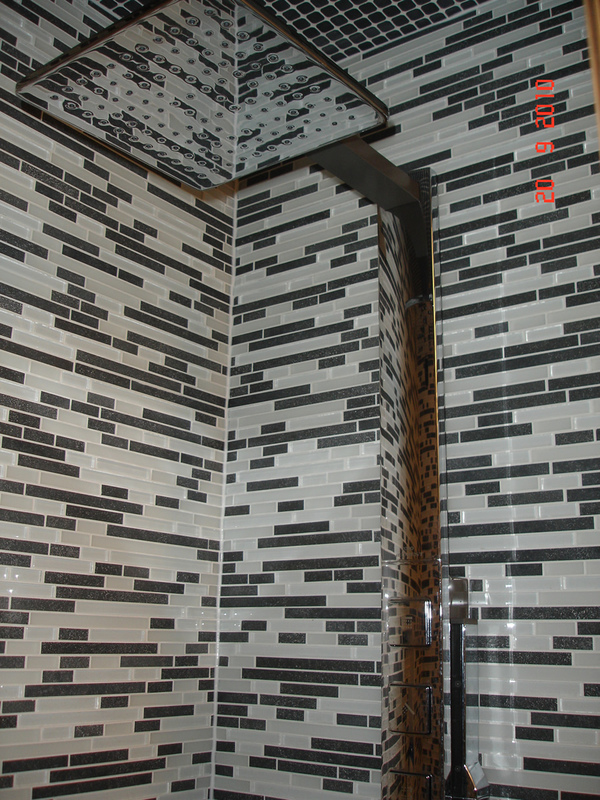 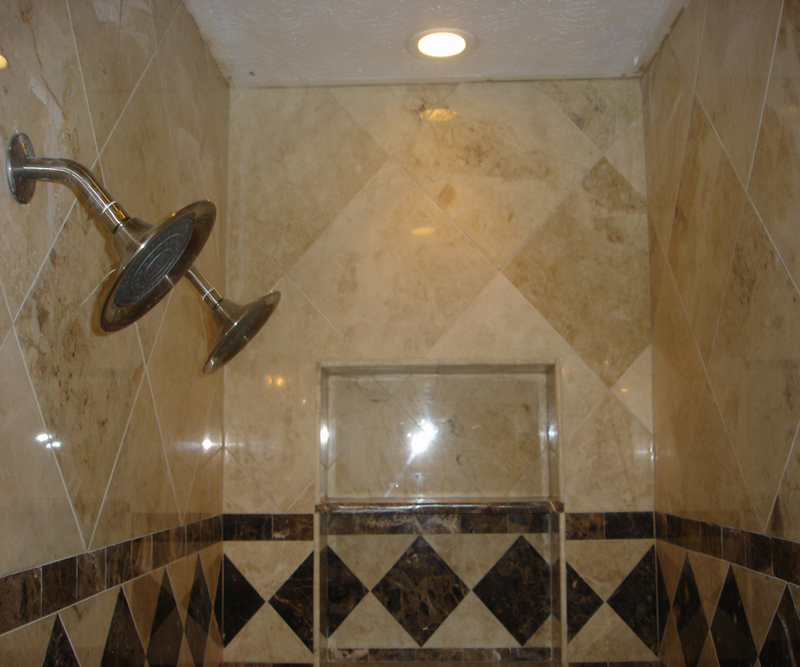 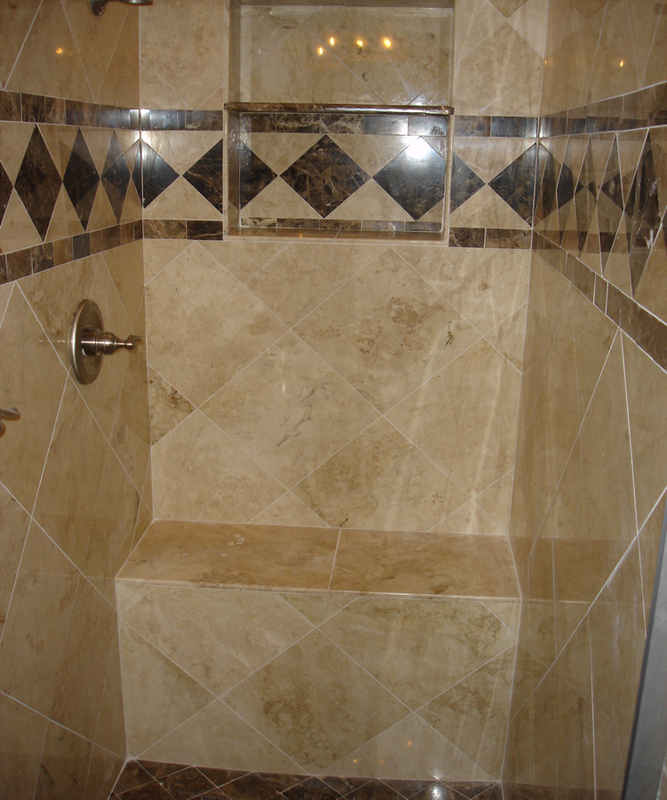 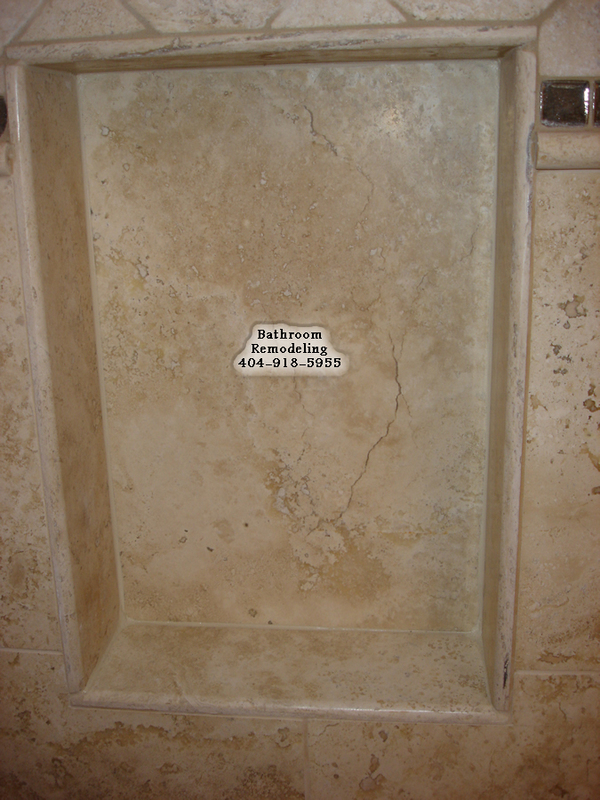 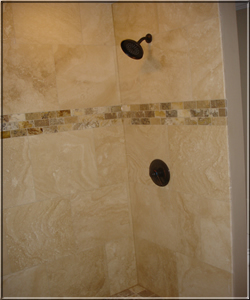 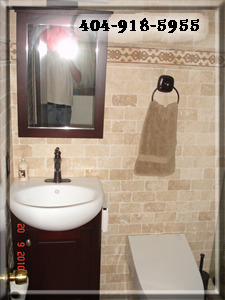 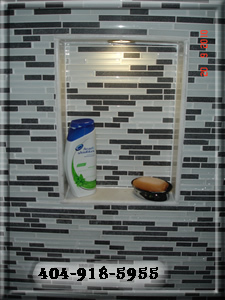 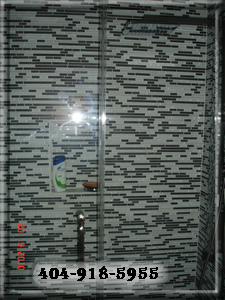 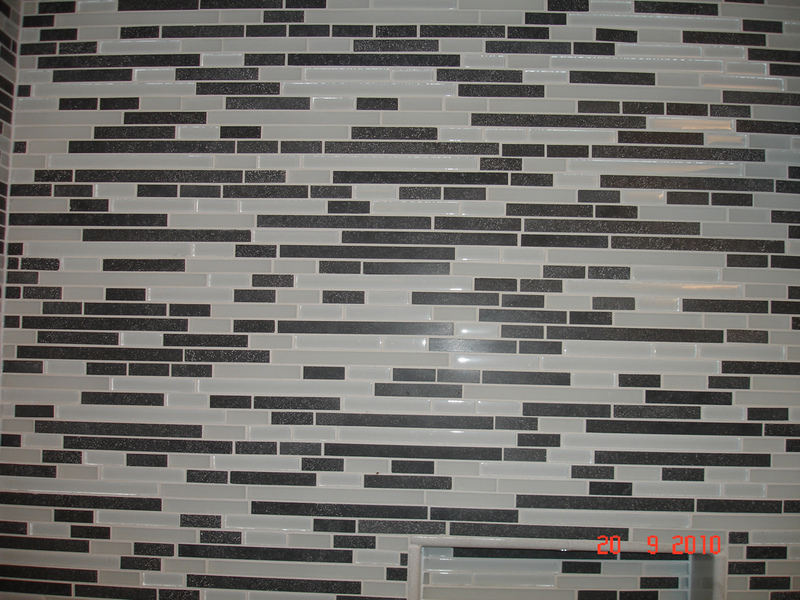 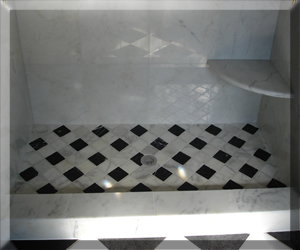 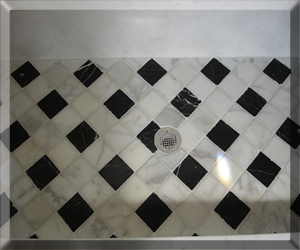 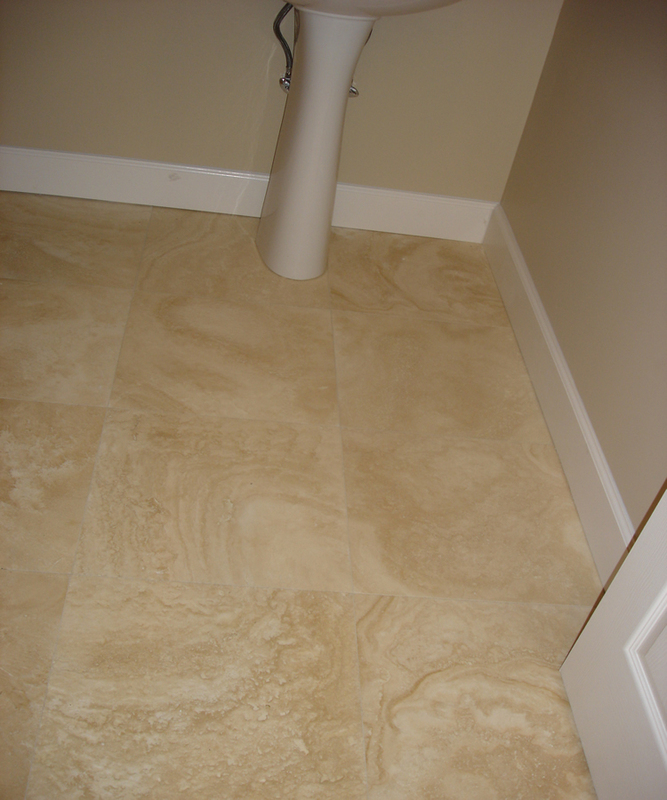 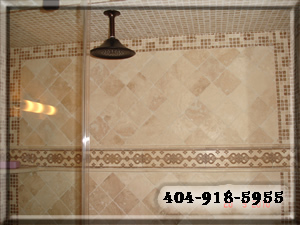 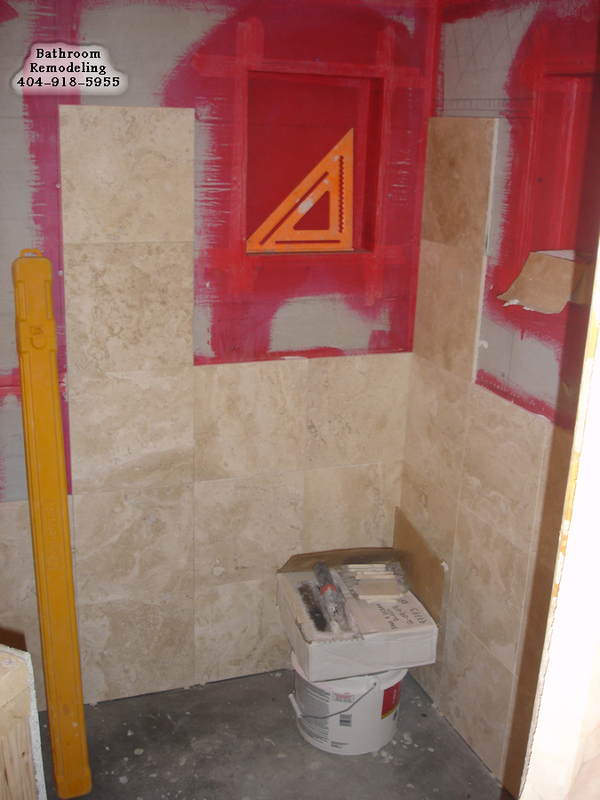 Glass Tiles Were Used To Tile Shower Walls. 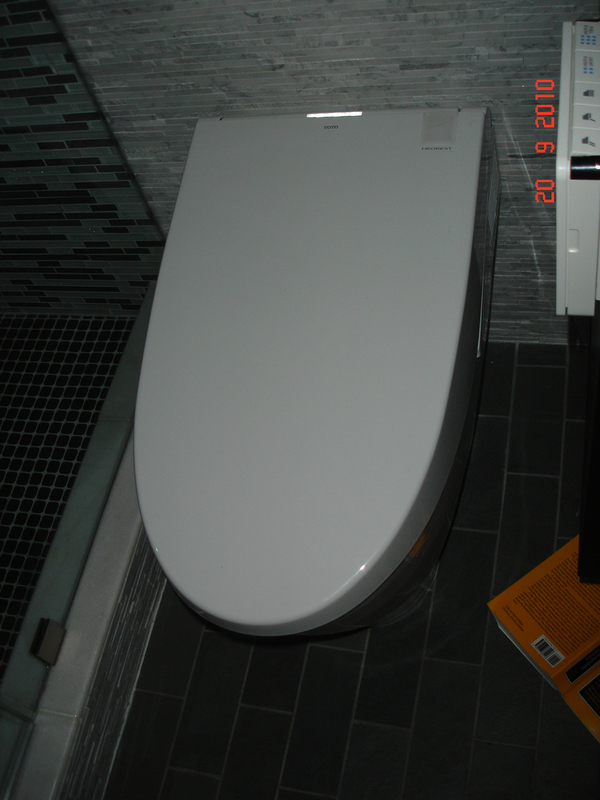 Installed New Shower Drain and Valve. 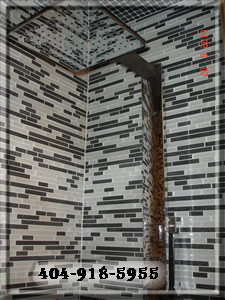 Large Tiles 24" x 24"